A limited liability company, or LLC, is a limited liability entity that protects owners and managers from many types of legal liability. A limited liability company, or LLC, is a limited liability entity that protects owners and managers from many types of legal liability. This is one of the greatest advantages to forming an LLC, as it's an easy and affordable way to gain this liability protection to protect your personal assets from your business debts. Find out more about how forming an LLC can protect you. Most small business owners choose to form an LLC to avoid personal liability for business debts. When you form a limited liability company, only the business itself will be liable for its liabilities and debts -- not the owners and managers of the business. Just remember that this liability protection is not without exceptions, and some of the protection will depend on your state. It's important to consider your potential liability risks and what protections you stand to gain by creating an LLC. 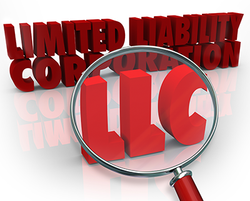 Important risks that you will take on when you become an LLC owner include the company's liability for other members' personal debts; personal liability for your actions that are related to the company; personal liability for actions by co-owners or employees related to the company; and personal liability for your company's debts. Now we'll review each one of these liability risks in a bit more detail. If your form an LLC and do not make a personal guarantee to pay its debts, you are typically not personally liable for the debts of the LLC. What this means is that creditors can go after your company's assets, such as business bank accounts, but not your personal property like your home or personal bank account. Just keep in mind that many creditors will require that you make a personal guarantee for any business loans or credit granted to your LLC, in which case you will be liable. Forming an LLC protects owners from personal liability for wrongdoing by employees or co-owners during the course of business, which means that if the LLC is liable for wrongdoing or negligence, the LLC's assets can be seized in a judgment. The LLC owner or employee who committed the act may be personally liable for the actions, but not the co-owners of the company. See Differences Between S Corporation, C-Corporation vs LLC Tax Comparison. When you form an LLC, you will still be personally liable for wrongdoing you commit during the course of your business, including direct injuries to someone due to your negligence; failing to deposit taxes withheld from employee wages; or committing fraud. This means that forming an LLC will not protect you from liability for your personal negligence or wrongdoing. An LLC's assets and property cannot be taken by the creditors of an LLC's owner to satisfy the owner's personal debts. Instead, an LLC owner's creditors can attempt to collect from someone who has ownership in the LLC. This depends a great deal on the state, however, but a creditor may be able to get a court order requiring the LLC pay the creditor the money due to the owner; foreclose on the owner's ownership interest in the LLC; or get a court to order the dissolution of the LLC. The bottom line is it's important to remember that, while a limited liability company does grant important liability protection, it is not blanket protection and there are exceptions that you should be aware of before you make your decision.